Nicole Sullivan at the Los Angeles premiere of "17 Again." Nicole Sullivan and Jason Packham at the Los Angeles premiere of "17 Again." 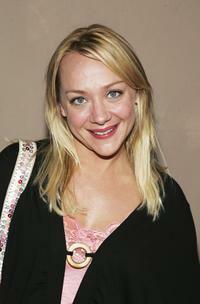 Nicole Sullivan at the premiere of "17 Again." Leslie Mann as Scarlet and Nicole Sullivan as Naomi in "17 Again." Nicole Sullivan at the weSPARKLE Take V "Broadway/Comedy Tonight." Jeff Goldblum and Nicole Sullivan at the NBC Primetime Preview 2006-2007. 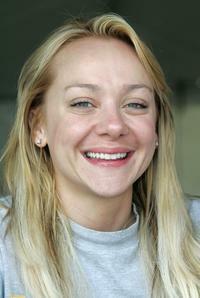 Nicole Sullivan at the NBC Primetime Preview 2006-2007. Nicole Sullivan at the Kathy Griffin's Annual Christmas Cocktail Bash Benefiting Toys For Tots. Nicole Sullivan and Kathy Griffin at the Kathy Griffin's Annual Christmas Cocktail Bash Benefiting Toys For Tots. Nicole Sullivan at the Midsummer Night's Dream Celebrity Poker evening. Nicole Sullivan, Michael McDonald and Kathy Griffin at the Kathy Griffin's Annual Christmas Cocktail Bash Benefiting Toys For Tots. Nicole Sullivan at the New Leash On Life's 5th Annual Nuts for Mutts dog show for mixed breeds. Nicole Sullivan at the panel discussion for "Hot Properties" during the ABC 2005 Television Critics Association Summer Press Tour. Nicole Sullivan at the ABC TCA party. Nicole Sullivan at the third season DVD launch event and season five wrap party for the television series "Scrubs." Nicole Sullivan at the press during day two of the TCA Tour Cable. Nicole Sullivan at the 36th Annual Academy of Magical Arts Awards Show and Banquet. Nicole Sullivan at the Upfront Week Closing Night Party. Gary Valentine and Nicole Sullivan at the CBS and UPN Winter Press Tour party.